The Electoral Commission of South Africa (often referred to as the Independent Electoral Commission or IEC) is South Africa's election management body, an independent organisation established under chapter nine of the Constitution. It conducts elections to the National Assembly, provincial legislatures and municipal councils. 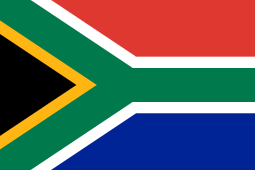 A temporary Electoral Commission was created in 1993 to manage the first non-racial election of the national and provincial legislatures, which was held on 26–29 April 1994. The permanent Electoral Commission was established on 17 October 1996, and has since managed general (national and provincial) elections in 1999, 2004, 2009 and 2014, and local (municipal) elections in 2000, 2006, 2011 and 2016.